As Kevin and I have been moving, cleaning, painting, organizing, working, and gearing up for the new school year these past few weeks, I have realized how overscheduled I am right now. This is a short season, I know that. 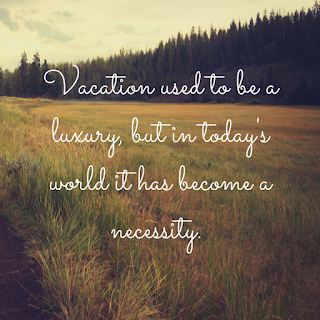 However, while it lasts, I need to take a step back from the blog. I absolutely hate to do it. I have not taken a hiatus since I started the blog nearly four years ago. The good news, however, is that I should be back to normal reading and posting soon! I do not know exactly when I will return, but I am guessing I will be back by the start of September. I know, I know; two weeks barely qualifies as a hiatus. Still, I wanted to let you know. Hopefully, in these two weeks, I can find my new schedule and balance and actually have time to pick up a book again! In the mean time, let me know what you are reading! I would love some suggestions for the fall months! Summary: Decades after the love of his life left him, Monsieur Perdu has devoted his life to his floating bookstore, moored on the Parisian shores of the Seine. He cites his profession as "literary apothecary" and dispenses cures for ailments of the heart, mind, and soul through literature. Meanwhile, the discovery of an old letter from his long lost love sends him on an unexpected journey of healing. What I Thought: I had really high hopes for this book. After all, it seems destined to be a book for book lovers, a qualification I clearly possess. I love the idea of a Parisian bookshop doling out novels like prescriptions. The introductory part of the book, the first third really, centered more on this idea. I thoroughly enjoyed reading about Monsieur Perdu's daily life, his emotional battles and heartaches, and his tentative hopes for new love. I especially loved his interactions with customers, as he advised them on which books would best suit their needs and desires. Had the whole book stayed in this setting and maintained some of these attributes, I think I could have loved it. 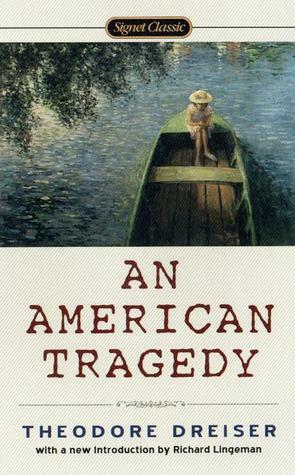 Summary: Based on a real case, Dreiser elaborates on the story of a young man turned murderer and his incredible perception of himself and his actions. What I Thought: I love Dreiser's writing. I loved it when I read Sister Carrie last year and I loved it in An American Tragedy. The base of each story actual comes out being fairly similar: a young American from a conservative midwestern family becomes slowly corrupted by the wiles and influences of the big city until their actions and attitudes are unrecognizable from their initial selves. I went into the book unaware of main character Clyde's impending moral downfall. This made his slide into much more interesting for me. I certainly detected the pattern but, as he approached his dooming crime, I kept thinking Dreiser might take a turn and alter Clyde's course for the better. No such luck for the boy. Dreiser sends him straight for the electric chair. How I Found It: Duh. The Kate obsession continues. Summary: Written before the epic wedding, Joseph's work focuses on Kate's path to becoming a princess. 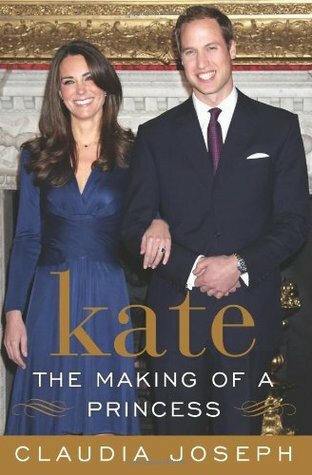 She spends the first half of the book exploring Kate's ancestry with brief comparisons to what the royal family looked like and was experiencing at the same. Then, Joseph delves into Kate's life and her royal romance. What I Thought: My obsession with royals, particularly of the English variety, particularly of the Kate Middleton variety, is no secret. It's well documented here on the blog. And if you all knew me in real life, well, you would see my Duchess of Cambridge calendar in my office and the fact that I own several dresses in common with HRH. In spite of my love for the woman, I have been extremely hesitant to read any biographies about her. Let's be realistic: she hasn't actually done a whole lot worth having a biography written about her - at least not yet. In general, I am not a fan of biographies of young people who still, presumably, have so much of their life still ahead of them. It makes me feel like the author is jumping the gun just to cash in on the person's popularity. Case in point: this book. How I Found It: If I remember correctly, a coworker recommended it to me a while back. Summary: The alien attack is in its fourth wave, although humans have yet to see any of the extra-terrestrial invaders in the flesh. Most of humanity has been exterminated. 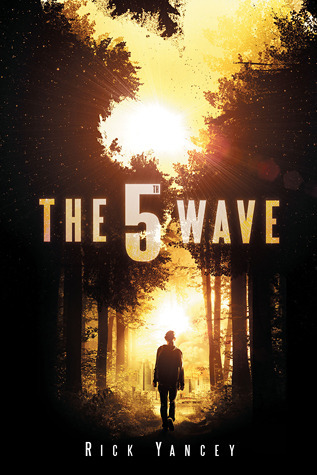 Cassie, a teenager girl among the few remaining, works for survival on her own. She can trust no one if she wants to survive, but can she survive if she trusts no one? What I Thought: This book turned out to be pretty much just what I expected, which is really a rare experience if you think about it. How often does a book honestly and truly meet your expectations - for better or worse? This is particularly surprising since I actually knew very little about the story before starting it. Cassie runs around southwestern Ohio (a regional choice which made it fun for me as I recognize so much, down to specific highway intersections mentioned) trying to decide who, if anyone she can trust. The story of the initial approach and attacks from the aliens is documented in flashbacks interspersed throughout the story. This works nicely juxtaposed against Cassie's loneliness and fears. How I Found It: I saw Suki Kim on The Daily Show promoting the book. Summary: Kim, a reporter, spent time undercover in North Korea posing as a missionary teacher. She taught English to elite young men at the only open college in the DPRK at the time. Her experience and emotions are documented in this memoir. What I Thought: My fascination with North Korea really began back in 2011 when I read Barbara Demick's book Nothing to Envy. 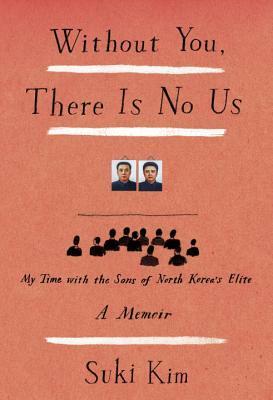 If you are interested in the story of regular North Koreans living under the thumb of the regime, I strongly recommend it. Then, in 2013, Adam Johnson's novel about the life of a North Korean man, The Orphan Master's Son, won both the Pulitzer Prize for Fiction and my admiration. It's a marvelous book, incredibly written, thrilling, intellectually challenging, and emotionally captivating. I strongly recommend that one. And, here, the journey continues. As do most minds like mine (I'm categorizing myself here as charmingly obsessive), when I become interested in a topic, I tend to fixate on it a bit and soak up any and all information available. I think any long time readers of the blog can probably come up with one or two times that has happened. How I Found It: I love Paris. 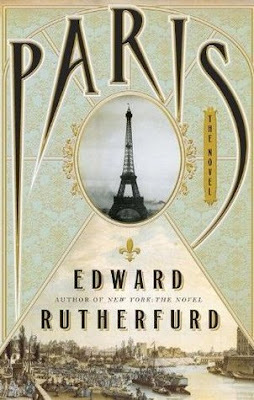 Summary: Rutherfurd explores the history of Paris through the eyes of six families. He skips around throughout history and generations, centering around the turn of the twentieth century and the building of the Eiffel Tower. 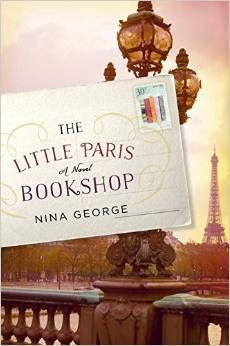 What I Thought: I put this book On Reserve because of my francophilia. I honestly did not expect to enjoy it as much as I did. I thought it would be more of a historical learning experience than an enjoyable fictionally driven one. Initially, the idea of the book does seem a bit daunting to the reader. How can one be expected to keep multiple generations of various families straight? Honestly, this ended up being far less strenuous than I expected. Rutherfurd provides a simple family tree and timeline in the start of the book to which I continually referred. With that simple tool, it became fairly easy to keep things straight. 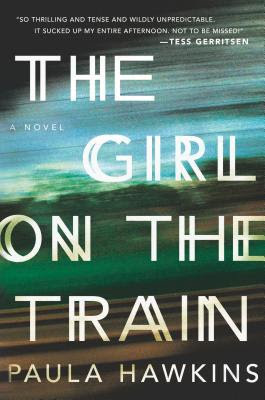 Summary: As she looks out the train window every morning and evening on her commute, Rachel gazes into the lives of strangers living on her old street. When the wife of this seemingly happy couple goes missing, Rachel involves herself in the case and quickly ends up in over her head. What I Thought: Everyone has been talking about this book since its release in January. I have seen quite a few readers and promoters compare it to Gone Girl, a comparison I think is more about success by affiliation than many actual parallels between the novels. Sure, there are a few general connections - a woman goes missing, marriages that seem fine are actually quite unhappy - but, beyond those, the similarities stop. They are simply both popular thrillers written by women.